The murder of Julia Martha Thomas was one of the most famous and publicly followed from the eighteenth century. One of the reasons why I decided to tell you about it is because it has its own peculiarities that you will discover by reading the article, which will probably leave you speechless. 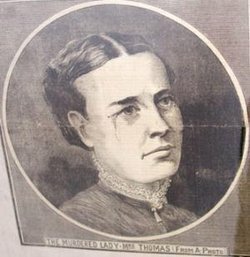 Julia Martha Thomas was a retired teacher, and lost two husbands. People described her as a petite and always well-dressed woman; after the death of her second husband in 1873 she retired to live alone in a house she owned. The house was an old stone cottage with two floors, with a beautiful garden at the front and one on the back, located in an area not very populated at the time. Despite being a small woman, Julia was known for having a strong temperament and neighbors found her an eccentric woman. She often traveled without telling anyone where she was going and without checking in with family or friends for several months. She belonged to the middle class and she certainly was not wealthy, but she liked to keep up appearances and always left the house well dressed and with jewels. And it was to maintain this appearance of prosperity that she decided to hire a maid who went to live with her. However, given her bad temper, the maids only stayed for a very short time periods, before leaving completely exasperated. But one day a friend suggested a woman who had worked for her long before, Kate Webster. Julia decided to hire her, thus committing a fatal mistake. Kate was an Irish woman, described as about 165 cm tall and with strong build. Little is known of her life before the murder, and many of her statements after the arrest do not seem reliable. At age 15 she was arrested for theft and three years later she decided to move to England. 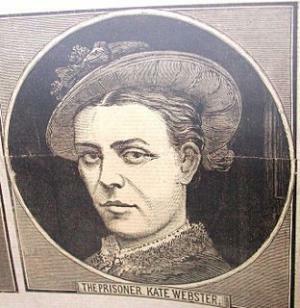 A year after her arrival, in 1868, she was convicted to four years in jail for theft. She was released in 1872 and the following year she moved to London, where she befriended the Porter family. In 1874 her son was born, John W. Webster but the father was unknown. Kate named three different men when questioned about this detail. One of them had been an accomplice in the thefts she had carried out and Kate declared that she was forced by him to commit such crimes and to have done so in order to feed her son. During the years of these thefts she often changed her name, calling herself Webb, sometimes Webster or other times Gibbs, Gibbons and Lawler. 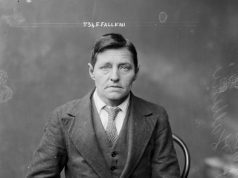 In 1875 she was arrested for theft again and sentenced to a year and a half in prison. Once released she was soon arrested for the same crime and sentenced to another year in jail. While she was in prison, she left her son in the care of Sarah Crease, a friend who worked as a maid for a family in Richmond. Shortly after Kate’s release, Sarah fell ill, unable to work for a period of time. Kate volunteered to replace her. It ‘s the family she worked for then that recommended her to Julia Martha Thomas. Kate moved to Julia’s house and the two got to know each other. Julia decides to hire Kate on the same day without asking too many questions or do any research on the past of the woman. After Kate moved into the house of her employer, however, their relationship deteriorates rapidly. At first I thought she was a kind middle-aged lady … then I found instead that she was very difficult to deal with, trying to bother me as much as possible while working. When I had finished one room, she came after me and made me notice all the spaces that she thought I hadn’t cleaned properly. This showed that she couldn’t stand me. Because of this behavior on Julia’s part, Kate began to feel resentment against him. Julia noticed this hatred and started to feel less comfortable being alone with Kate to the point of inviting more friends back home in order not to have to be alone with her maid. Eventually she decides to fire her and they agreed that Kate would have to leave the house on February 28. Kate convinced Julia to have her in her house for three more days, until March 2nd. The second of March was a Sunday, typically a day off for maids who could spend it outside the house. However, Kate would have to return in the evening to help Julia prepare for church. Kate returned later that evening, Julia scolded her and they got into an argument. However, she had to prepare to go to church and she told the other woman the two would continue the discussion once the mass ended. Ms. Thomas came into the house and up the stairs. I followed her and a discussion started, which soon became a fight. I was very angry and in a rage I pushed her down the stairs. It was a big fall and I got very anxious, losing control. To stop her from shouting and getting in some trouble I grabbed her by the throat and while we were fighting I ended up strangling her. Then I threw her on the floor. I decided to get rid of the body in the best possible way. I cut off her head and parted it from the body with a razor. Then I cut the body into pieces with a hacksaw and a meat knife. Prior to this, I put water to boil for the tub, and once the water got boiling hot I threw the pieces of Julia’s body in it. 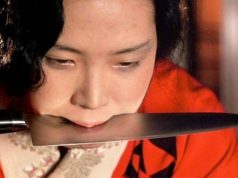 I cut her stomach open with a knife and burned all the guts possible. The neighbors didn’t notice anything and Kate continued to live in Julia’s home pretending she was still alive. She washed her clothes and put them out to dry, just as she should have done. In the meantime she started getting rid of Julia’s remains, putting them in a leather bag. She couldn’t fit the head and a foot inside and decided to throw the foot in a dump and bury the head underneath a pub not too far away from the house. Then, under the pretext of visiting acquaintances, she moves away from the house and got rid of the bag containing the remains of Julia by throwing them into the Thames. The next day, however, the bag was found by a fisherman who opened it and found the pieces of a corpse. The remains were examined, but at the time the techniques available didn’t allow an in-depth analysis and therefore they proceed with the burial. Kate continued to live in Julia’s home and assumed her identity. She managed to find someone interested in buying the furniture in the house and made a deal. The neighbors, not seeing Julia for two weeks, suspected something and when they saw the wagon with Julia’s furniture they asked the driver who had sold them to him. The driver responded that they were sold by “Ms. Thomas’ and pointed to Kate. Finding herself caught, Kate escaped and the neighbours called the police. 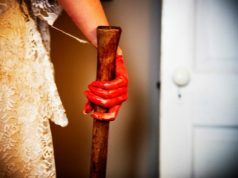 They searched Julia’s house and found bloodstains, burnt bones and melted fat. They started following Kate’s steps, who had since then fled to go back to Ireland, and arrested her. Kate was found by the police and arrested. Her trial began in 1879 and hadgreat media coverage, so much so that one of the best lawyers in London agreed to defend her. During the trial she described how things went and the judge sentenced her to death. In 1952 the naturalist David Attenborough bought a house near the cottages that had belonged to Julia Thomas. The pub underneath which her head had been buried closed in 2007 and two years later the naturalist decided to buy it to refurbish it. In 2010, during renovation works a skull it was found. Studies revealed that it belonged to someone who lived in the late ‘800. It presented fractures consistent with a fall and had very little collagen, suggesting it had been boiled. In 2011 it was stated that it was indeed the skull of Julia Martha Thomas.